Celebrating the life of Frank W. Interlini, Jr.
Obituary for Frank W. Interlini, Jr.
Frank W. Interlini, Jr., 91, of Warwick died Friday at the Briarcliffe Manor. He was the devoted husband of the late Josephine (Rose) Interlini. Born in Providence, he was the son of the late Frank W. and Genoveffa (Olivo) Interlini. Frank was a successful businessman and founder of Lakewood Autobody in Warwick. He was an involved member of the community and was a Navy Veteran of WWII serving in South-East Asia. After retiring, he spent fifteen years in Florida enjoying golf. He is survived by his revering children, William A. Interlini of Warwick and Carol O’Connor of West Warwick; a sister, Mae Paparillo. He was the Papa of his grandchildren, Christine, Nicole, Lauren, Danielle, Kristen, Michael, Jillian, Jenna and David; great grandchildren, Amanda, Sophia, Gianna, Gregory, Isabella, Lilianna and Michael. He was the father of the late Jane M. DeGregorio and brother of the late Michael Interlini. 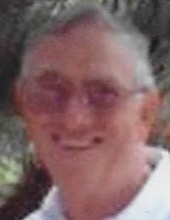 His funeral will be Tuesday at 9 AM from the Frank P. Trainor & Sons Funeral Home, 982 Warwick Avenue, Warwick. Mass of Christian Burial in Saint Peter Church, Fair Street, Warwick at 10 AM. In lieu of flowers donations in his memory to Alzheimer’s Association RI Chapter 245 Waterman St. #306 Providence, RI 02906 will be appreciated. Burial with military honors will be in Gate of Heaven Cemetery, East Providence. To send flowers or a remembrance gift to the family of Frank W. Interlini, Jr., please visit our Tribute Store. "Email Address" would like to share the life celebration of Frank W. Interlini, Jr.. Click on the "link" to go to share a favorite memory or leave a condolence message for the family.